These are factory new light corks and never used. 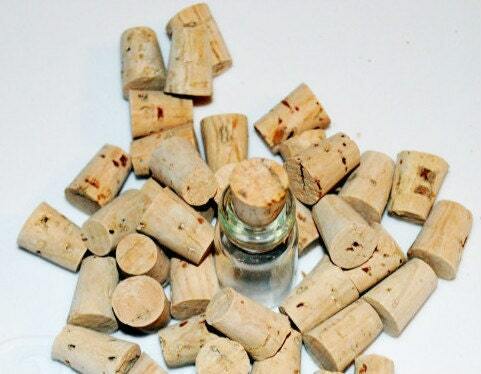 These corks are size #000 and made from 100% natural cork. 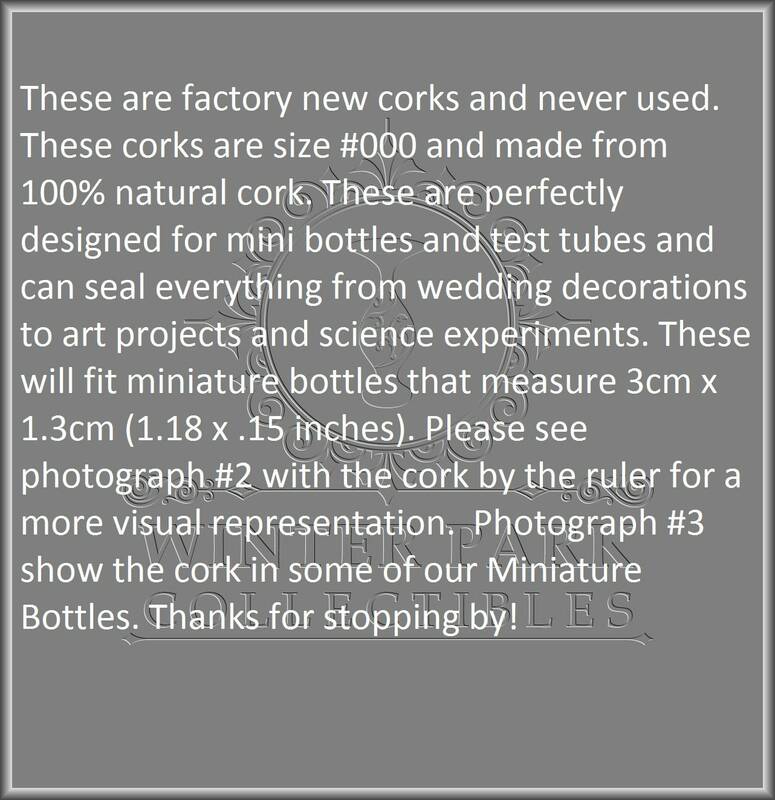 These are perfectly designed for mini bottles and test tubes and can seal everything from wedding decorations to art projects and science experiments. 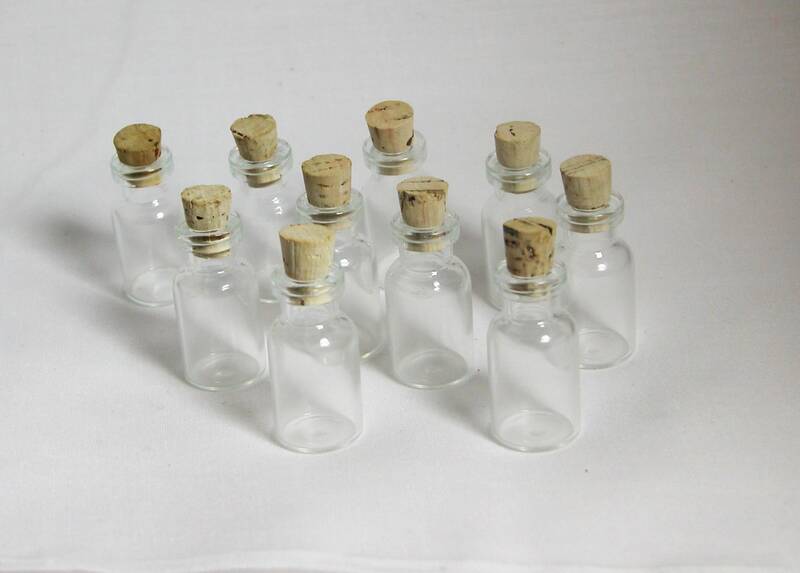 These will fit miniature bottles that measure 3cm x 1.3cm (1.18 x .15 inches). 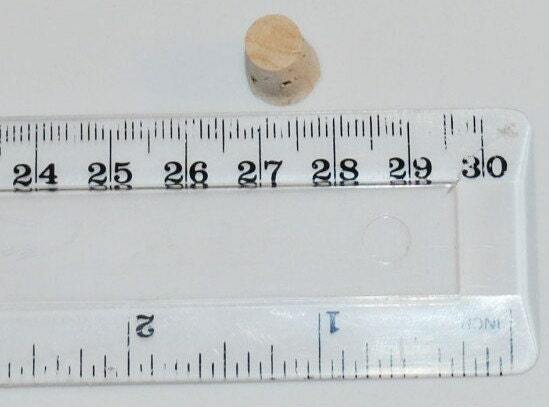 Please see the photograph with the cork by the ruler for a more visual representation. Thanks for stopping by! Fast shipping, and just what I needed. Very fast shipping- thank you! Thank-you very much. Good seller. Lovely, natural cork wood. Thanks!